Fiat boss Marchionne told analysts that launching the Alfa 159 was a mistake. TURIN -- Fiat S.p.A. may sell auto-parts division Magneti Marelli S.p.A. and a stake in supercar maker Ferrari S.p.A. before consolidating Chrysler Group LLC, CEO Sergio Marchionne told analysts. “We left Turin with the clear message that Fiat and Chrysler will become one company,” Morgan Stanley analyst Stuart Pearson wrote in a note to clients Monday, after attending a Nov. 12 analysts meeting with Marchionne. “A Ferrari initial public offering and potential Marelli disposal may need to come first, according to management,” said Pearson, who has an “overweight” rating on the stock. Morgan Stanley added Fiat to its “best ideas” list Monday. Credit Suisse analyst Eric Hauser was quoted Monday as saying that “Marchionne identified a Ferrari initial public offering and Magneti Marelli disposal as potential sources of cash, without giving a timeframe. Marchionne also took the opportunity to explain the advantages of spinning off Fiat's industrial businesses, including Iveco S.p.A. and CNH Global NV. Italy's biggest manufacturer plans to list Fiat Industrial S.p.A. shares on the Milan exchange on Jan. 3, allowing it to focus on reviving carmaking operations. Fiat declined to comment on the analyst reports from the meeting, but confirmed the meeting took place in Turin on Nov. 12. Writing in a note to investors, USB analyst Philippe Houchois claimed that Alfa Romeo clearly is not for sale because its will play a key role in Marchionne's five-year plan for Fiat Group. Meanwhile, Morgan Stanley's report said that Marchionne confirmed VW's interest in buying Alfa Romeo, but added that the brand would only be sold for a very high price. Fiat, which acquired a 20 percent stake in Auburn Hills, Michigan,-based Chrysler last year, has said it will raise the holding to 25 percent by the first quarter and to 35 percent by the end of next year. 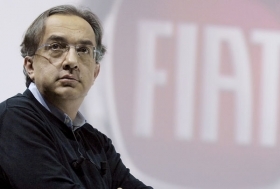 Marchionne plans to take the U.S. automaker public in the second half of 2011. According to the Morgan Stanley report, Marchionne also admitted that launching the Alfa 159 was a mistake, but he said he is confident that a U.S. built Giulia will be a "true Alfa." A Fiat spokesman said the company has not decided yet whether to build the Alfa Giulia in Italy or in the United States. According to a Fiat strategic plan unveiled in April, the Giulia would replace the 159 sedan and wagon at the end of 2012.